Mr. Ko Bo Kyi is a founder and joint secretary of the Assistance Association for Political Prisoners (AAPP), an independent and non-politically aligned human rights organization which seeks to develop civil and political rights and encourage transitional justice ideals in Burma. AAPP advocates for the unconditional release of all political prisoners in Burma, documents their poor prison conditions, and works to ensure their right to safe participation in the democratization process in Burma once they are set free. Bo Kyi is himself a former political prisoner who spent over seven years behind bars for his participation in the underground democracy movement in Burma, Mr. Kyi was first arrested in 1989 and later fled across the border to Thailand, where he helped to form the AAPP. For his outstanding contributions to freedom and human rights, he was bestowed the Swiss Foundation for Freedom and Human Rights’s 2011 Award, Human Rights Watch’s 2009 Alison Des Forges Award for Extraordinary Activism, and the 2008 Human Rights Defender Award from Human Rights Watch. He is the author of numerous publications, including The Experiences of Ex-Political Prisoners in Burma and Challenges to Reintegration (2016) and Prison Conditions in Burma and the Potential for Prison Reform (2016). 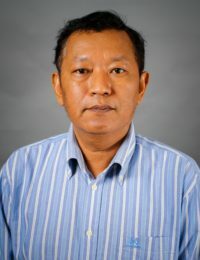 During his fellowship, he researched key issues within the Burmese penal and prison system and proposed pathways for reform to Burmese policymakers. He employed a comparative lens to his analysis, drawing on examples from the international community and grounding his project in international norms and standards. Through his research, Bo Kyi demonstrated that a fair judicial and penal system is fundamental to Burmese democracy.